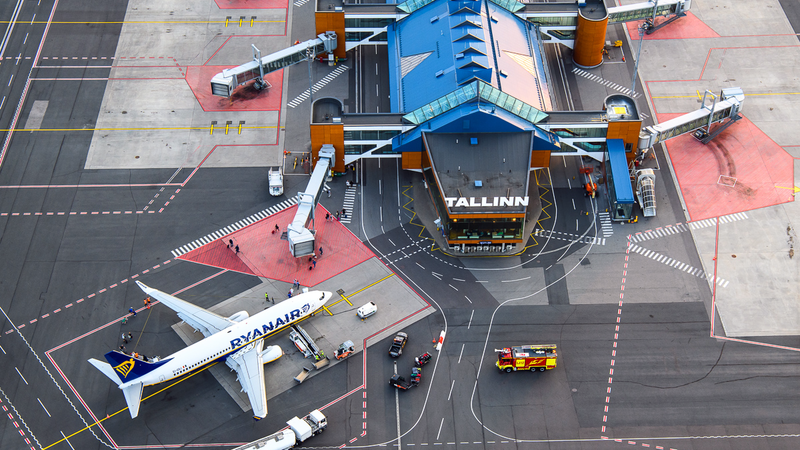 Lennart Meri Tallinn Airport is the largest airport in Estonia and home of the national airline Nordica, as well as the secondary hub for airBaltic and LOT Polish Airlines. The airport has an asphalt-concrete runway that is 3480 meters long and 45 meters wide, seven taxiways and fourteen terminal gates. Tartu Airport is the 2nd airport by the passenger flow, located near the Tartu–Võru highway. Pärnu Airport is an airport in Estonia, situated 4 km from the city of Pärnu. Kuressaare Airport is an airport in Estonia, located on Saaremaa island. Kärdla Airport is airport in Estonia, located on Hiiumaa island. Ämari Air Base is an air base in Harjumaa, Estonia located 7 km south of Lake Klooga.